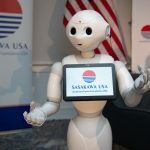 Sasakawa USA’s Public Outreach Program aims to engage more Americans across the United States on issues pertinent to U.S.-Japan relations and improve their understanding of U.S.-Japan relations. The program focuses on three main areas: the Public Speaker Series, Public Outreach outside of Washington, and Public Outreach through Culture and Arts. 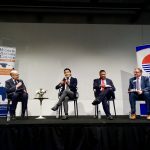 Both the Public Speaker Series and Public Outreach outside of Washington programs feature an influential American or Japanese speaker who presents on a timely topic of relevance to U.S.-Japan relations and engages in discussion with participants. Public Outreach through Culture and Arts promotes public discussions on the U.S.-Japan relationship through events tied to cultural celebrations and arts, such as film. 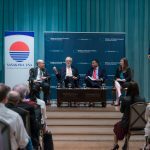 Sasakawa USA’s Views of Japan series offers perspectives about Japan’s foreign policy throughout the world, providing opportunities to discuss the impact of Japan’s engagement in with leaders from various regions. 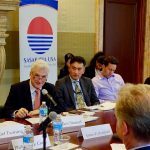 Through this series, Sasakawa USA aims to engage both global and American citizens on timely issues pertinent to U.S.-Japan relations in a specific regional or sub-regional context, as well as to enhance understanding of U.S.-Japan relations. 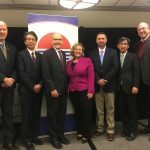 The Alliance Working in America (TAWA) series focuses on how the U.S.-Japan alliance and partnerships can better work together to secure U.S. security interests, including economic security, at both regional and national levels. Sasakawa USA launched this new outreach series in September 2017 with its first set of events in Houston, Texas.